March 2018 - Don Mills Builder, Inc. March 2018 - Don Mills Builder, Inc. Prominent Light Fixtures. Lighting makes a major style statement in your kitchen. It also needs to provide sufficient light for the task at hand. Consider bold light fixtures for ceiling lights, especially above an island or another seating area. Then place simple, bright lighting (LED lighting is ideal) under cabinets and over stovetops and sinks. 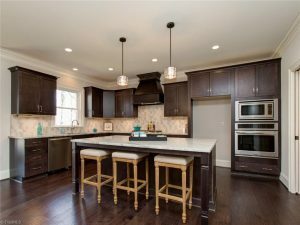 What are the Best Neighborhoods for Custom Home in Greensboro? Are you looking for a new home but having trouble finding something suitable? The market is incredibly low and there aren’t many houses coming available. Don’t settle for a home that isn’t quite what you’re looking for. Find a builder and have a custom home designed just for you. There are custom home lots in Greensboro in some of the best neighborhoods that are ready to build on now. Wondering which neighborhoods are the most popular and why? This is your guide. Linville Ridge. If you’re looking for a peaceful, small community, Linville Ridge will feel like home. It consists of around 30 home sites with common areas in about 4 or 5 locations throughout the neighborhood. Surrounded by nature, yet just minutes from Greensboro, Kernersville, High Point, and Winston Salem, you can have both convenience and wide open space. Knight’s Landing. Live the luxurious life here at Knight’s Landing. 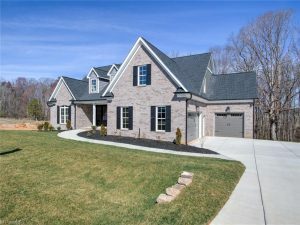 Spacious home sites in a natural setting give this neighborhood a country feel in a location that is still convenient to Greensboro and the rest of the Triad. Situated within the town of Oak Ridge, which is a popular area with great schools, this community is ideal for families in all stages of life. Neighborhood amenities include a pool, a pond, and plenty of well-manicured common lawns for kids and dogs to play. Jessup Ridge. This beautiful tree-lined neighborhood exists in an ideal location in the Northern Guilford County school district and just 15 minutes from Greensboro. Families love the pool, clubhouse, and picnic area. Additional phases of the community are being developed and ready-to-build home sites are available now. Reserve your spot in this highly desired community soon. Dawn Acres. Adjacent to the Dawn Acres Golf Course, this neighborhood is the picture of beauty. Trees, ponds, and green grass as far as the eye can see, you can enjoy the countryside and still be close to the city. Located in Stokesdale, just north of Greensboro in the Oak Ridge/Northwest school district, lots in this neighborhood are highly coveted, and currently available while they last. Birkhaven. Naturally beautiful and very secluded, Birkhaven was designed for those who want a peaceful home with city convenience. If you’re looking for a tree-lined yard, plenty of privacy and space, with the added perk of no city taxes, you’ve found your home. Ready-to-build home sites are available now. If you’re ready to start planning your dream home and stop touring houses that don’t meet your criteria, call Don Mills Builders at (336) 362-1777. Ready-to-build home sites are available now in these popular neighborhoods just north of Greensboro. Don Mills can help you select the lot that best suits the type of home you wish to build or design your home to suit the lot you like best. Set up a free consultation today and see why so many home buyers are choosing to build on custom home lots in Greensboro neighborhoods. https://donmillsbuilders.com/wp-content/uploads/2017/08/DonMillsLogo-1.png 0 0 Don Mills Blog https://donmillsbuilders.com/wp-content/uploads/2017/08/DonMillsLogo-1.png Don Mills Blog2018-03-05 21:20:412018-06-20 21:27:48What are the Best Neighborhoods for Custom Home in Greensboro?